Whether you are trying to be the amazing hostess, besides cooking the best dinner or simply making the table look beautiful is your thing, it is important to know that flowers are an important part of the dinner party. Every home must have flowers in all colors to brighten the evening and cheer the mood around the house. For those reasons, we are going to tell you the best flower arrangements for your next dinner party. Small enough to allow you eye contact with everyone at the table, an arrangement in a silver bowl makes the table look amazing. Start by placing moist floral foam in the bowl so that you can give smaller stems more stability. Make sure to build this arrangement from the outside in. Place white strawberries to dangle over the bowl’s edge, followed by large roses around the base of the arrangement. The colors blue and violet and the only harmonizers to flower arrangements that are able to mingle among other clashing colors and also generate tranquility. Begin this decoration by getting small bunches of tulips, irises, hyacinths, or any hydrangea in any shape or color from the same family of flowers. 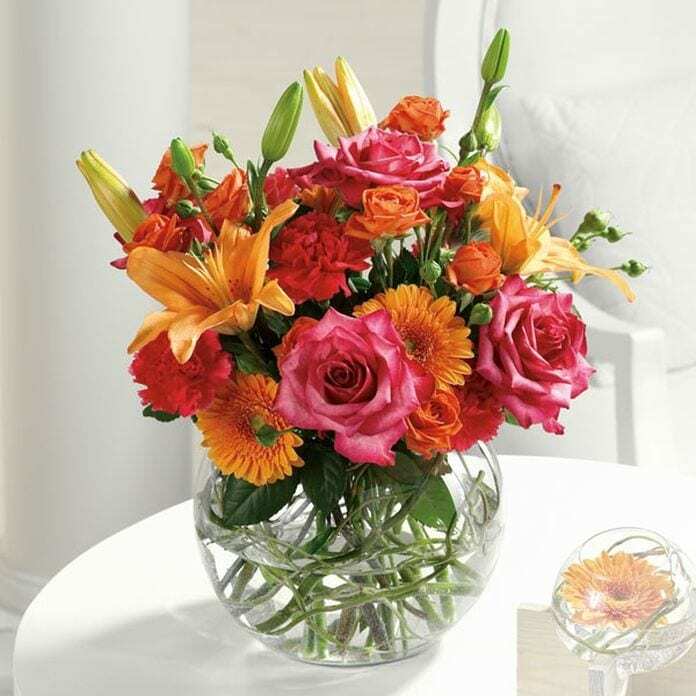 Make sure to place the brightest of the flowers in the center of the vase to create a focal point and cluster the remaining flowers in bunches in any shape, size, or color in the vase. Finish it off by adding a few leaves of greenery on each side to break the color pattern a little. Flowers with large blooms, such as roses, lilies, and lisianthus are the easy pick for lush arrangements. Start the arrangement by grouping the biggest flowers first. 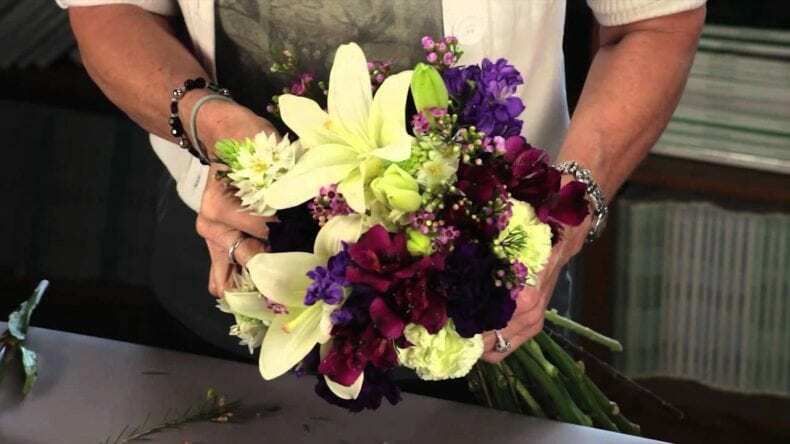 Then add the smaller ones around the largest but make sure to vary in height, and when you’re satisfied with how it looks, shorten the stems across the bottom and place them in a vase. According to Cali Bouquet, pink is one of the most beautiful colors for flowers, that is why we are choosing this bouquet pink in every shade. Start by adding a mix of roses, dahlia, gerbera daisies, or any other flower in that color, and arrange the largest flowers in the center of your vase. Follow up with the smaller beneath them to have the perfect shape. Don’t forget to insert a few taller lilac stems somewhere near the top and back of the arrangement to give the bouquet a perfect look. We didn’t mention peonies in our lush arrangements, because they get their own fresh spin in this casual arrangement. 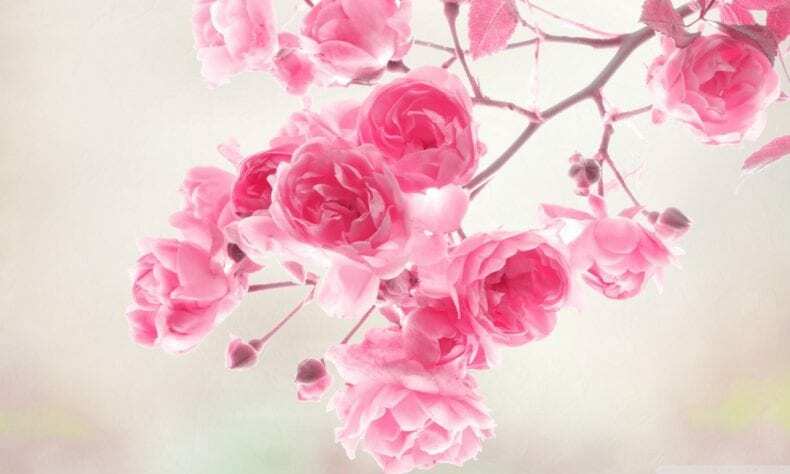 Start by lining the middle of the vase with ruffly pink peonies and make sure to include a few buds for interest. Trim the large blossoms and anchor one side with flowered cabbage and the other with large white hydrangea. Having some kind of shape in mind as your flower arrangement idea could help you make a decision on where to put each flower. If going for a cone-like shape, then begin by cutting stems in tiered lengths, bigger blossoms are getting shorter stems in our collection. Follow up by placing the largest flower in the vase and build around him. Keep adding to the shape flowers according to height with the longest stems occupying the center of the arrangement. Next articleWhy Should You Apply for Tata Capital Personal Loan?